“My idols are players like Tony Bennett and B.B. King." Rundgren admits to playing in a blues band after high school and right up to his first band, the Nazz. He knew the venerable bluesman Robert Johnson’s music inside and out to the extent that later in life, he would record Todd Rundgren’s Johnson, an album of Johnson covers. But he says that it wasn’t really Johnson who influenced him. “I was listening to the guitar players who were listening to him,” Rundgren told another interviewer. Along with the usual names of white blues guitarists from the UK, he noted a little B.B. King love as well. Tuesday, June 2, 2015, 8 p.m.
“Hello, it’s me.” Rundgren will likely be remembered for those words more than any other moment in his long career. They are lifted from one of the hit singles released during his Nazz days but also included on 1972’s gold-certified Something/Anything, a double-disc set that he claimed was crafted with the aid of copious amounts of weed and on which he played the instruments and did the singing on most of the tracks. Rolling Stone magazine called it one of their 500 greatest albums of all time. 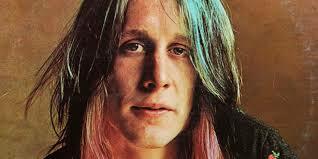 To this day Rundgren defies accurate description as an artist, but at the age of 67, he still sells out venues. How’s that for having a life on one’s own terms?